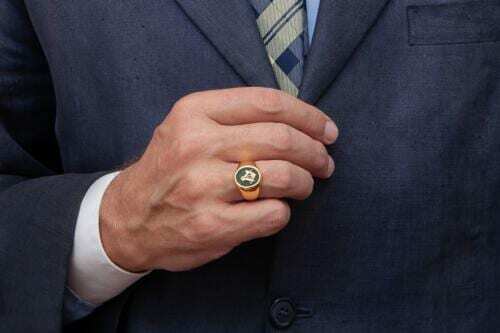 PRICE REDUCED $40 FOR THIS MONTH. 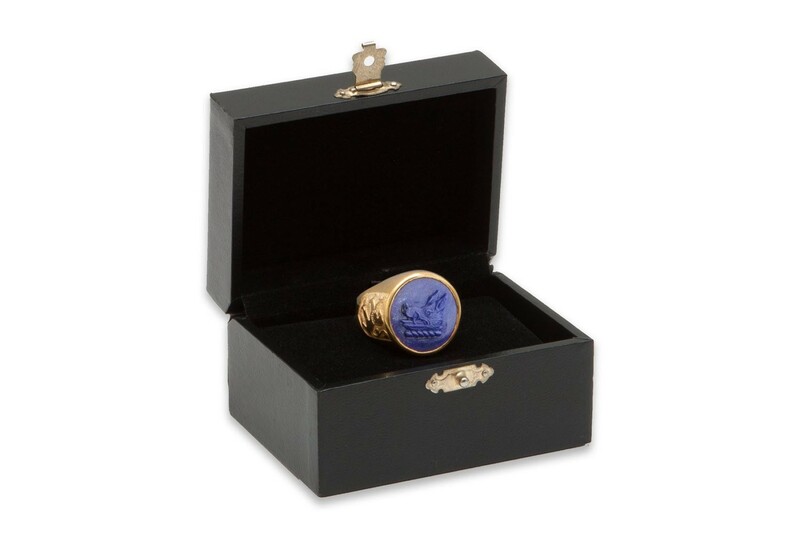 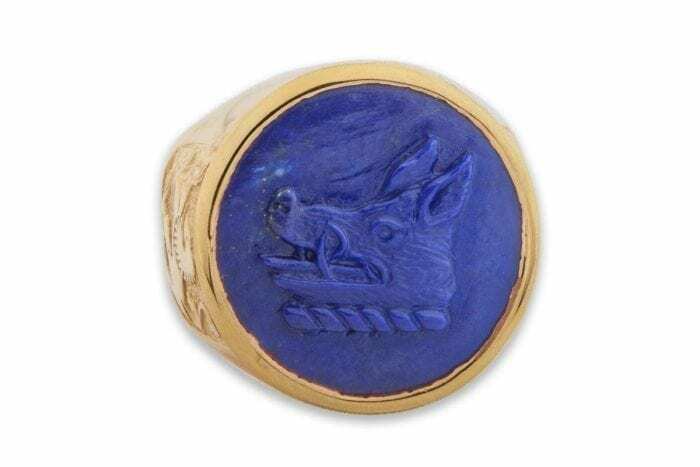 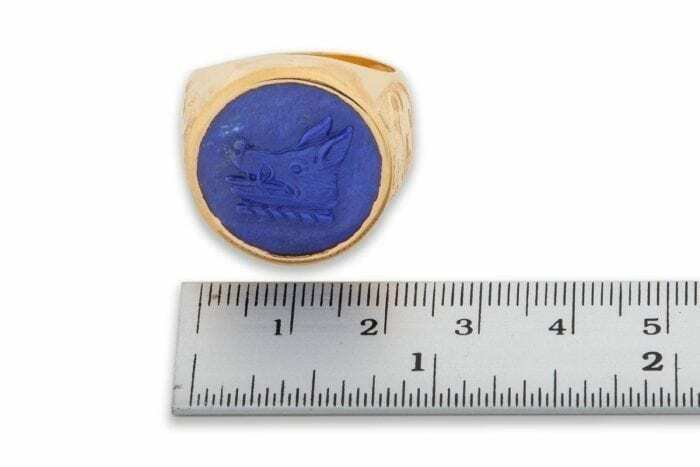 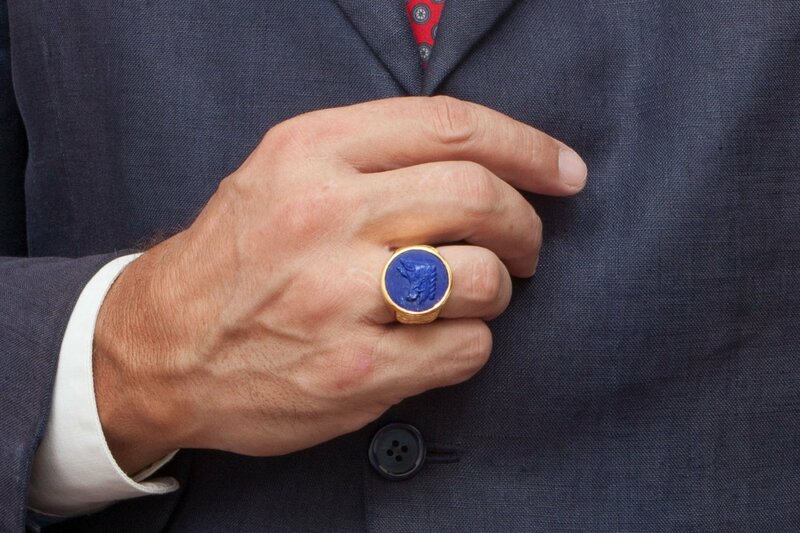 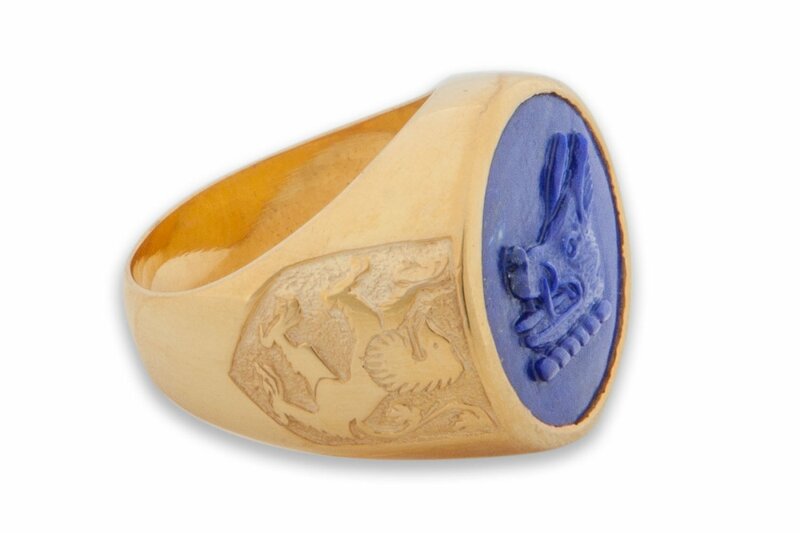 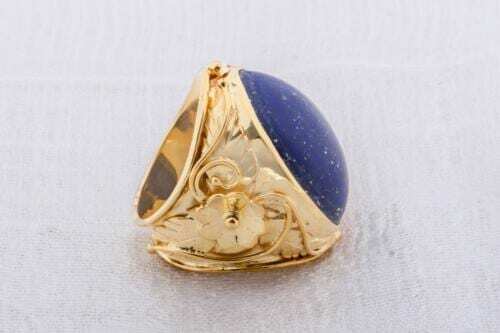 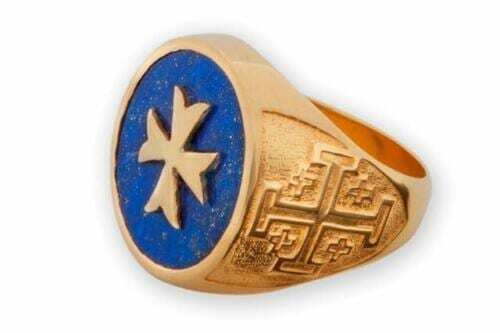 The Boar’s Head is sculpted in blue lapis lazuli to make this superb mans signet ring. 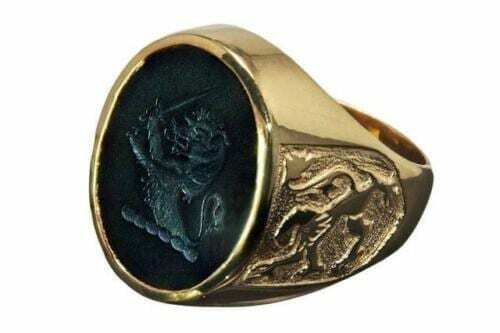 A beautiful and interesting work of art with a classic British Family Crest hand carved and lion shoulders in gold plated (5 microns 18k gold) sterling silver.